The officers were among about 20 staff attacked during an outbreak of violence at the weekend at Feltham YOI in west London. One officer suffered a broken nose and another was concussed after being repeatedly punched. The Prison Service said the assaults were “completely unacceptable”. Several members of staff were bitten during the disturbance in the section of the YOI known as Feltham A which accommodates 150 boys, most of whom are aged 16 and 17. Will Richard be demanding answers and actions about THAT? Will Richard be insisting on finding out how many of those attacking prison officers are Muslim? Or will a discreet veil be drawn over this awkward truth? 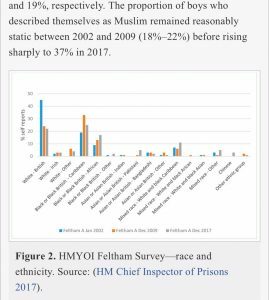 A reminder, Muslims make up around 5% of the general population yet 37% of Feltham Youth Prison population. This is a massive over-representation. Some of Feltham Youth Prison “old boys” include Richard Reid the so-called ‘shoe bomber’ who pleaded guilty to terrorism charges, who is alleged to have converted to Islam whilst serving time in Feltham! The problem is not restricted to this particular prison. At Whitemoor prison in Cambridgeshire, 44% of the 447 inmates are Muslim. So prisons can be seen to be super-incubators for an even more violent form of radical Islam, with non-Muslims converting to Islam to gain safety behind bars! 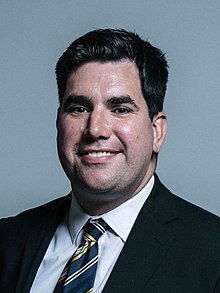 Protecting Prison staff from violent attack is crucial and Officers deserve all the help that can be afforded carrying out what is a very difficult job. 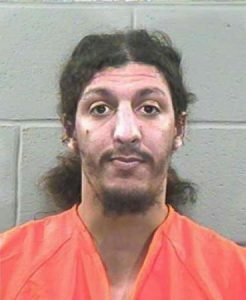 Radical Islam is flourishing behind prison bars just as it flourishing outside in the general community and ignoring this only ensures greater levels of violence. Just why is it that so many Muslims are convicted of crimes carrying a custodial sentence? Why do they become so violent and radical behind bars? What steps are being taken to isolate and punish these violent aggressors?